We are six Bay Area playwrights. Over the next three years, we will produce six new plays. 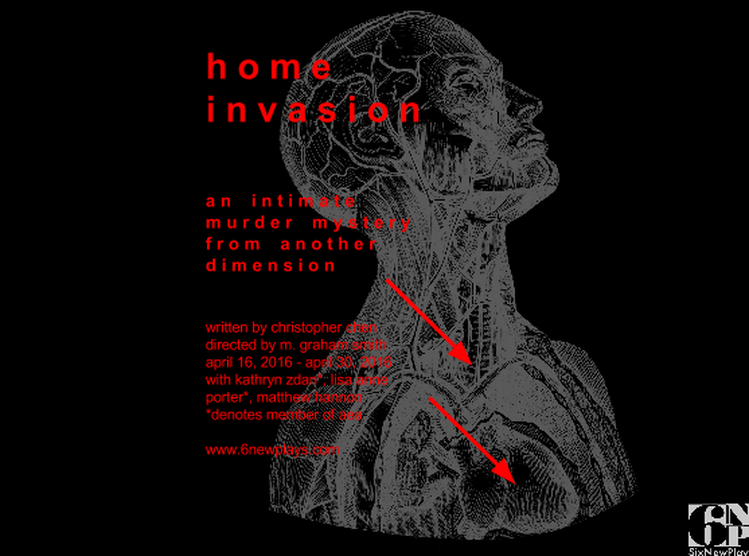 Our plays will be formally inventive, small budget and San Francisco Bay Area themed. We aim to make plays that reflect our community. Performances will be public and low-cost. Inspired by the 13P model, we put the production process in the hands of the playwright. Each playwright will act as artistic director for her or his own production. We are not a theater company. We are making theater, not running a theater for longevity. We believe in community -- if you help us, we'll buy you a beer. Pop some bottles, zip up your hoodies and prepare to get disrupted this summer. CHAMPAGNE, a world premiere by 6NewPlays founding member Barry Eitel, is a wild rampage through one party at a Pacific Heights mansion for Chatwick, the latest buzzy social media network. Through a haze of ego and booze, the company and its founders are crucified by a collection of mistakes, from selling off reams of user data to murdering fellow executives. Amid the scandal and bootstrapping, programmers fall in love, ballerinas find peace and the quantified self is finally achieved. The play mashes together music, dance and spectacle for an unforgettable journey through the dark side of the Web 2.0 world. CHAMPAGNE is one of Lily Janiak's Theatre Picks at the SF Chronicle! Champagne stars Christy Crowley, Rasheed Custer, Nora Doane, Brian Kennedy, Amitis Khoroushi, Megan Luis, Brian Martin, Paul Rodrigues, Ayelet Schrek and Fred Webre. Champagne is the fifth production by 6NewPlays. 6NewPlays is a Member of Intersection for the Arts. Intersection for the Arts provides Bay Area based artists and arts organizations with resources, community and cultural space in order to develop sustainable practices. Visit www.theintersection.org. Champagne is the proud recipient of a 2018 CA$H grant from Theatre Bay Area and a Capital Grant from the Venturous Theater Fund. 6NewPlays partnered with San Francisco Recreation & Parks to bring Champagne ​to life. ​A single soul moves from her first breath to her last, while trying to hold onto the beauty and power of life's seemingly mundane and easily forgotten daily mementos. Because without memory, what remains of your life after you’ve lived it? 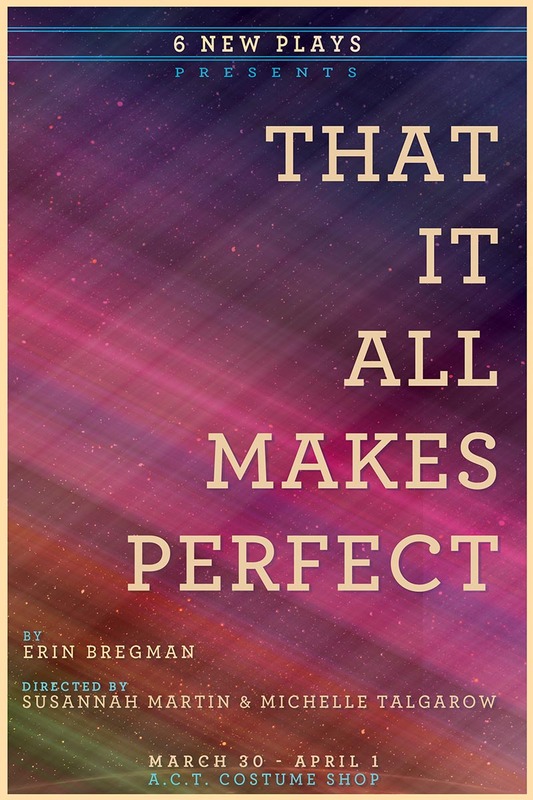 ​THAT IT ALL MAKES PERFECT was originally written during a Just Theater New Play Lab (dir: Joy Brooke Fairfield), and developed with The Brick, and the Bay Area Playwright's Festival (Bay Area Playwright's Foundation). *Denotes AEA member. An Actors Equity Approved production. Generously funded in part by TBA CA$H, Venturous Fund, Zellerbach Family Foundation.